Few industries remain untouched by the Federal-Mogul Corporation, a true corporate conglomerate. Headquartered in Southfield, Michigan, the company manufactures products for the automotive, industrial, railroad, aerospace and energy sectors. Federal-Mogul was founded in 1899 when J. Howard Muzzy and Edward Lyon incorporated the Muzzy-Lyon Company. After establishing a subsidiary, Mogul Metal Company, the founders developed a process to fabricate die-cast bearings for engines. Buick placed the company’s first major order in 1910 when it requested 10,000 connecting-rod bearings. 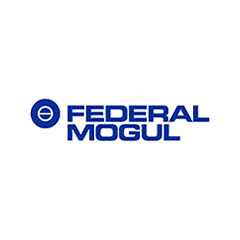 Mogul Metal became the Federal-Mogul Corporation in 1924 after merging with Federal Bearing and Bushing. Between 1941 and 1945, company sales doubled as a result of production for World War II. Throughout the ensuing decades, Federal-Mogul significantly expanded its business operations through a series of acquisitions. Many of Federal-Mogul’s asbestos litigation claims arose after it acquired companies who manufactured asbestos products. Two major acquisitions occurred in 1998 when Federal-Mogul purchased Fel-Pro and Turner & Newall. Fel-Pro manufactured gaskets and seals that contained asbestos ingredients. And Turner & Newell, Europe’s largest manufacturer of asbestos-containing construction materials, also produced brake pads, bearings and other automotive parts. The financial aftermath of the asbestos claims accompanying Federal-Mogul’s acquisitions led the company to file Chapter 11 bankruptcy in 2001. Although the company nearly tripled in size during the 1990s, Federal-Mogul didn’t emerge from bankruptcy until 2007. On Oct. 1, 2018, Tenneco completed an acquisition of Federal-Mogul for $800 million in cash and roughly $30 million in Tenneco shares and assumption of debt. Federal-Mogul attempted to avoid bankruptcy by shedding its workforce and closing manufacturing facilities, but no strategy could save the company from the sheer number of asbestos-related lawsuits stemming from the Turner & Newall acquisition. By the time Federal-Mogul filed for bankruptcy, it had more than 156 subsidiaries and affiliates. Of these, a number were involved in asbestos litigation suits, totaling nearly 350,000 individual claims. When Federal-Mogul acquired Turner & Newall, it set aside approximately $2.1 billion as a reserve to pay for asbestos-related claims, but the amount proved insufficient. Although Federal-Mogul cites Turner & Newall as the driving force that sent the company into bankruptcy, Flexitallic Gasket Company, another subsidiary, is the defendant most often named in recent asbestos claims. In a 2001 case involving 22 former Texaco workers, a jury awarded the plaintiffs $35.2 million as compensation for their workplace exposures to asbestos. While employed at the Texaco refinery from the 1940s to the 1970s, these workers handled asbestos-containing Flexitallic gaskets and went on to develop asbestosis. The former owners of Federal-Mogul subsidiary Flexitallic (U.S. Gypsum Co. and Gasket Holdings), were responsible for paying the $35.2 million. Each former employee received $1.6 million. Exposed to Asbestos at Federal-Mogul? Federal-Mogul Corporation’s core manufacturing businesses did not generally involve asbestos. However, the company exposed itself to asbestos liability after acquiring companies that manufactured asbestos-contaminated building materials, gaskets and automotive friction products such as brake pads. As a result, anyone who worked with products made by Federal-Mogul, Turner & Newall, Flexitallic Gasket Company and others may be at risk for developing mesothelioma or another asbestos-related disease. Occupations at risk include construction workers, mechanics, shipyard workers, refinery workers and refractory plant workers. Employees who manufactured products for asbestos companies that Federal-Mogul acquired may have also faced asbestos exposure hazards. Workers often handled asbestos materials and used machines that contained asbestos parts. Courts have held Federal-Mogul liable for injuries related to various products manufactured by its subsidiaries throughout the years. Many lawsuits have stemmed from exposures to asbestos-containing automotive parts such as brake pads, gaskets, seals and bearings. In addition, Federal-Mogul owns companies that produced insulation, cement pipe and various other asbestos building materials. While Federal-Mogul knew about the asbestos claims filed against companies it acquired, they still felt adding them as a subsidiary was a good move. Unfortunately for Federal-Mogul the risk did not pay off.